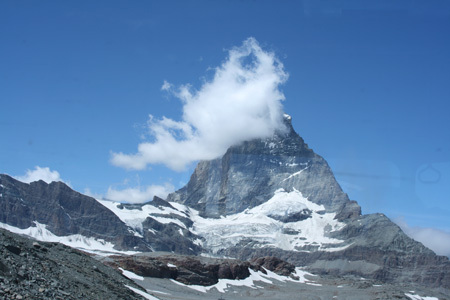 Sir Edward Whymper was determined to be the first one to reach the summit of The Matterhorn with his party of seven. It was July 14, 1865, and this was his eighth attempt. But 8 was his lucky number. Everything should go well. Relying heavily on ropes for security, Sir Edward and his team made their ascent on that famous Swiss mountain, and their perseverance paid off. Before the day was over, they stood on the top of the mighty Matterhorn. He had done it! He had made it to the top! It wasn't until the descent that disaster struck. One member of the party slipped off the mountain and tumbled into the valley below. Because all seven climbers were attached together via a rope, the momentum of his fall pulled another three members of the party off the mountain, and all four fell to their death. Why didn't the accident pull Sir Edward and the other two climbers over the edge as well? Simply because the rope broke! Funny, isn't it. 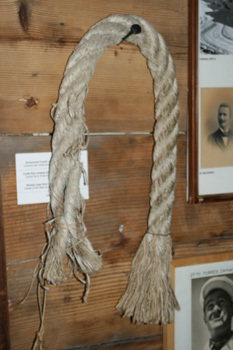 Sir Edward was relying on a solid rope. However, if it hadn't broken, his "security" would have resulted in his death! This reminds me of human belief systems. We grow up with them, we rely on them, but they aren't always reliable! Researchers have estimated that about 85% to 90% of our brain activity occurs in our subconscious mind, which is part of our soul. Since our subconscious minds shape every facet of who we are, including our actions, our reactions, our habits, and our personality, it impacts heavily upon our decisions. Basically, it becomes the center of our belief systems. As information from our daily lives filters into our subconscious minds, mental images are created. These mental images are broad underlying observations of how we assume things around us really are. Whether true or false, they become our version of reality. As such mental images are stored in the subconscious, belief systems, also called "paradigms", are developed. These paradigms simply refer to a mindset that serves as a filter to all of our actions. We have paradigms for basically everything in our lives: love, friendships, work... Some of such images are associated to strong and negative emotions. These work to create colossal negative beliefs. For example, if we have been brutally robbed, this will shape a negative belief, one that could, potentially, make us anxious around people. An incident happened to my mother when she was a young child. She fell down the stairs, and this shook her up so much that ever since, she has been afraid of heights. This is yet another example of the development of a negative belief. The original Greek word for "strongholds" is "ochuroomatoon" and literally means castles, fortresses, strongholds, things that we hide behind. When these strongholds develop in our minds, they are ugly, filling our brains with negativity. And once they are vested in our minds, they are very hard to remove. If allowed to develop, they will imprison us for life. Remember what happened in Eden? Our soul took the upper hand over our spirit and we no longer were depended on God. Since then we have become susceptible to these negative strongholds of the mind. Because of their destructive power over us, Satan will certainly encourage such negative fortresses in the mind, keeping them strong through deception, one of his favorite weapons! But then again, we do know that he is full of lies (See John 8:44) and it doesn't surprise us how he tries to turn everything to his advantage, as his goal is our very destruction (See John 10:10). Get your gear ready and don't forget the ropes. Let's climb the Matterhorn. We can make it! Meet me in front of the Petit Hotel in Zermatt, Switzerland. Yahoo!